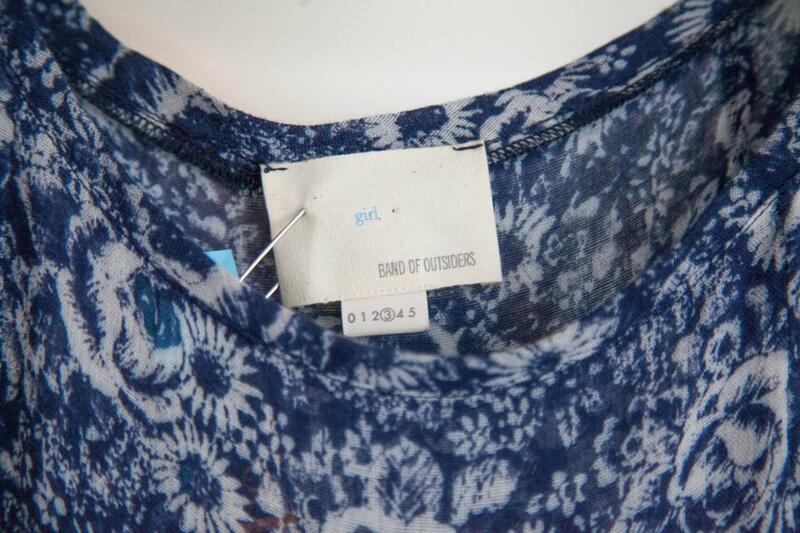 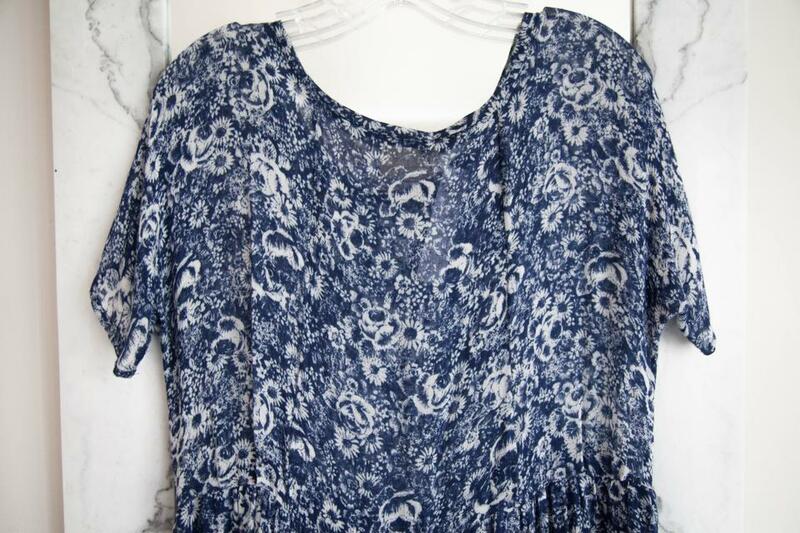 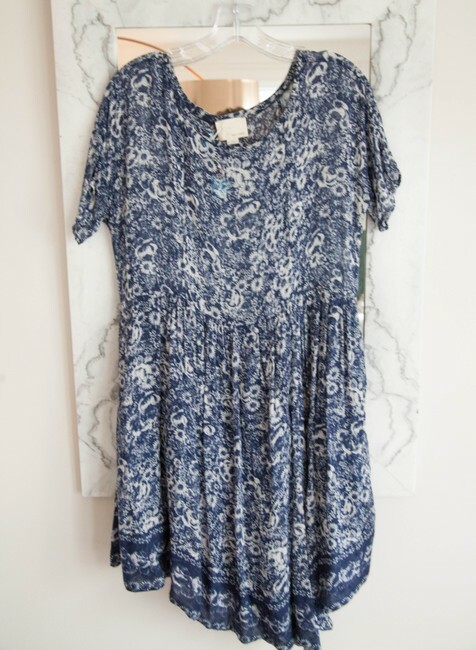 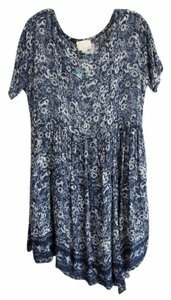 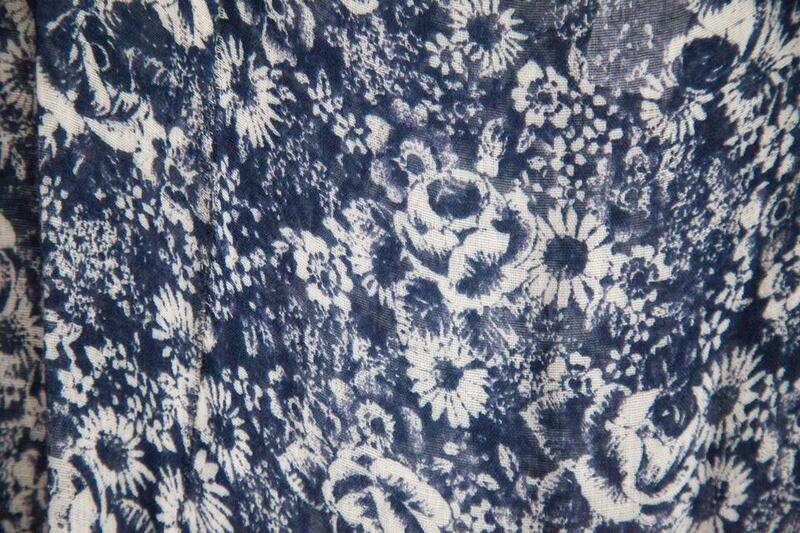 Band of Outsiders flowing and lightweight blue and white flowered dress. Large boat neck with small cap sleeves. Silk slip underneath skirt.